View every home, condo, and property listed for sale. Sorted by newest listing first. Updated 5 minutes ago. 3 Beds | 1.5 Baths | 1300 sq. Ft.
5 Beds | 3.25 Baths | 2795 sq. Ft.
3 Beds | 1.75 Baths | 1510 sq. Ft.
4 Beds | 2.75 Baths | 2433 sq. Ft.
4 Beds | 3.25 Baths | 2541 sq. Ft.
5 Beds | 3.75 Baths | 3233 sq. Ft.
3 Beds | 2.5 Baths | 1920 sq. Ft.
5 Beds | 3.25 Baths | 3320 sq. Ft.
4 Beds | 2.5 Baths | 2277 sq. Ft.
4 Beds | 2.75 Baths | 3334 sq. Ft.
5 Beds | 3 Baths | 2730 sq. Ft.
3 Beds | 1.75 Baths | 2330 sq. Ft.
1 Beds | 1 Baths | 675 sq. Ft.
4 Beds | 3.5 Baths | 2200 sq. Ft.
5 Beds | 3.25 Baths | 2923 sq. Ft.
5 Beds | 3.25 Baths | 2903 sq. Ft.
Blue Summit Realty has the most accurate and up to date Finn Hill real estate listings on the web. Currently there are 19 homes for sale, 1 condos for sale, and 3 vacant land properties in Finn Hill. Of the 23 total Finn Hill residential listings for sale 0 are bank owned, 0 are short sales, 0 are new construction, and 0 are townhomes. The price ranges from $239,950 to $0 with a median list price of $1,006,109 and median sold price of $667,409. Make sure to refine your Finn Hill real estate search by property type, price, square footage, bedrooms, bathrooms and more with the search tool above or view the Finn Hill listings on our interactive map. 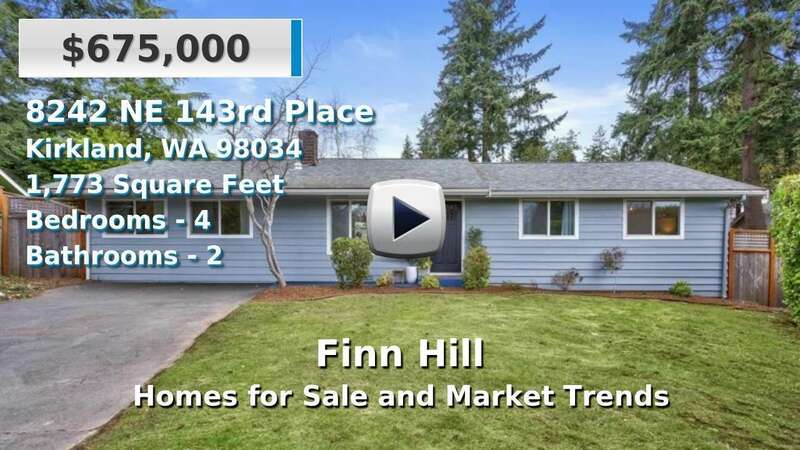 Our Finn Hill real estate listings were updated 5 minutes ago.